In his new book “The Disordered Mind,” neuroscientist Eric Kandel explores how we control our emotions. The following is an excerpt of The Disordered Mind: What Unusual Brains Tell Us About Ourselves by Eric Kandel. The first person to consider the biology of emotion was Charles Darwin. In the course of his work on evolution, Darwin came to understand that emotions are mental states shared by all people in all cultures. He was particularly interested in children because he believed that they express emotions in a pure and powerful form. Since they are seldom able to suppress their feelings or fake an expression, he considered them ideal subjects for studying the importance of emotion. In his 1872 book, The Expression of the Emotions in Man and Animals, Darwin also carried out the first comparative study of emotion across species. He showed that unconscious aspects of emotion are present in animals as well as people and noted that these unconscious aspects have been extremely well conserved throughout evolution. We are all familiar with emotions such as fear, joy, envy, anger, and excitement. To some extent these emotions are automatic: The brain systems that carry them out operate without our being aware of them. At the same time, we experience feelings of which we are fully aware, so that we are capable of describing ourselves as scared or angry or grumpy, surprised or happy. The study of emotions and moods helps reveal the porous boundaries between unconscious and conscious mental processes, documenting the ways in which these seemingly distinct kinds of cognition are constantly interacting. All of our emotions have two components. The first begins unconsciously and manifests itself as an outward expression; the second is a subjective, internal expression. The great American psychologist William James described these two components in an 1884 essay entitled “What Is an Emotion?” James had a profound insight: Not only does the brain communicate with the body, but, equally important, the body communicates with the brain. The second component of emotion is the subjective, internal experience of emotion, the conscious awareness of how we feel. In this book, we follow the lead of Antonio Damasio, director of the Brain and Creativity Institute at the University of Southern California, and restrict the word “emotion” to the observable, unconscious behavioral component and use “feeling” to refer to the subjective experience of emotion. Emotions can be classified along two axes: valence and intensity. Valence has to do with the nature of an emotion, with how bad or good something makes us feel on a spectrum from avoidance to approach. Intensity refers to the strength of the emotion, the degree of arousal it evokes. We can actually map most emotions onto these two axes. Such a map doesn’t capture the entire essence of a particular emotion, but it does present it in a way that is useful when matching facial expressions to the brain systems that produce them. Many structures in the brain are involved in emotion, but four of them are particularly important: the hypothalamus, which is the executor of emotion; the amygdala, which orchestrates emotion; the striatum, which comes into play when we form habits, including addictions; and the prefrontal cortex, which evaluates whether a particular emotional response is appropriate to the situation at hand. The prefrontal cortex interacts with, and in part controls, the amygdala and striatum. Many structures in the brain are involved in emotion, but four of them are particularly important. We say the amygdala “orchestrates” emotion because it links the unconscious and conscious aspects of an emotional experience. When the amygdala receives sensory signals from the areas concerned with vision, hearing, and touch, it generates responses that are relayed onward, largely by the hypothalamus and other structures in the brain that control our automatic physiological responses. When we laugh or cry—when we experience any emotion—it is because these brain structures are responding to the amygdala and acting on its instructions. The amygdala is also connected to the prefrontal cortex, which regulates the feeling state, the conscious aspects of emotion, and its influence on cognition. 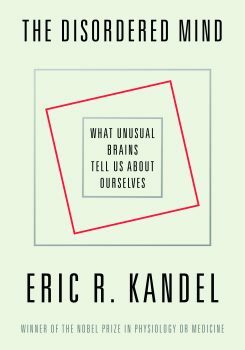 Excerpted from The Disordered Mind: What Unusual Brains Tell Us About Ourselves by Eric R. Kandel, published in August by Farrar, Straus and Giroux. Copyright © 2018 by Eric R. Kandel. All rights reserved. Eric Kandel is the winner of the 2000 Nobel Prize in Physiology or Medicine and co-director of the Mortimer B. Zuckerman Mind Behavior Institute at Columbia University in New York, New York. In his new book, neuroscientist Eric Kandel writes of artists and scientists in 20th-century Vienna.